The United Way of Greater Kingsport seeks Communications and Development Manager to champion marketing and communications efforts, manage digital technology fundraising platforms and promote resource development in a $3M-$5M non-profit. Collaborative and teamwork skills are essential. Minimum of a bachelor’s degree and 5 years’ experience in related field. Interested applicants should submit a cover letter and resume to resumes@uwaykpt.org by March 18, 2019. A cover letter is essential to be considered. These documents may also be mailed to UWGK, Attention: RESUMES, 301 Louis Street, Suite 201, Kingsport, TN 37660. See more info at www.uwaykpt.org/careers. This position offers an opportunity to be involved in engaging the Greater Kingsport, TN community to IMPROVE LIVES by mobilizing the caring power of the community to create a BETTER LIFE FOR ALL through the work of the United Way. Champions marketing and communications effort using strategic communication and marketing management skills and tactical implementation. Serves on the Resource Development committee with primary function for special projects aimed at fundraising and revenue performance as well as managing digital technology donor engagement platforms. Is passionate about pursuing growth in workplace giving and individual donors for the mission of United Way. The statements below reflect the items considered necessary to describe the essential functions of the job identified and shall not be construed as a detailed description of all work requirements that may be inherent in the job. COMMUNICATIONS MANAGER – Works together with Communications Committee and the Communications Coordinator for the following deliverables. Develops and executes a best-in-class media presence that drives organizational impact, donations and volunteer support, and supports aggressive fundraising and awareness growth goals. 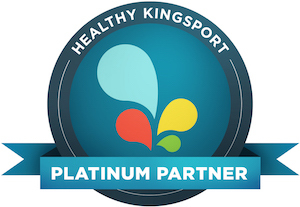 Develops and executes a strategic marketing plan to deliver unified messaging which strengthen organizational awareness and development efforts of United Way of Greater Kingsport. Defines annual year-round communication goals, key messages and implements measures of effectiveness of communication channels. Aligns communication messaging internally and externally to the needs of the strategic plan of UWGK and promotes activity using a variety of communication vehicles such as print, web, and social media. Manages the creation and ensures timely delivery of quality content for all marketing and communications platforms, including website, newsletter, and social media channels. Ensures print, web, social media materials are updated consistently with integration of cohesive key messages across audiences. Provides primary support to directors in developing of creative content for training and presentations to companies, boards, civic clubs and individuals aimed at ensuring integration of cohesive key messages across all audiences. Works closely with Community Impact staff to ensure effective and up-to-date messaging of UWGK key impact strategies. Manages UWGK event logistics including annual meeting, UWGK Board retreat, and Volunteer Events. Support Communications Committee with goal of successful achievement of defined plan of work. DEVELOPMENT (Special Projects) MANAGER – Works together with the Executive Director and Resource Development Coordinator for the following deliverables. Assists the Executive Director, Resource Development Committee chair and vice-chair in special project execution in support strategies for the annual campaign. Attends Campaign Cabinet meetings and provides updates on status of special projects. Assists with planning and execution of Resource Development events, including Regional Kick-off Local Kickoff, Campaign Celebrations, and Leadership giving. Assists Executive Director with Tocqueville Giving event. Develops, Plans and implements special events to support growth in donor engagement such as retiree luncheon, millennial events, etc. Serves as a staff liaison for the Resource Development Committee and is responsible for successful implementation of agreed upon projects to support the plans of work. Works with Resource Development coordinator to understand how all campaign donor data is collected, recorded and distributed in an accurate and timely manner. Partners with the Executive Director, Executive Committee, Resource Development leadership, Communications Committee, and Community Impact Directors to develop campaign theme, strategies and effective, professional, timely and accurate production of campaign related materials. Updates, at least annually, all campaign and thank you letters engaging cabinet volunteers as appropriate. Works to creatively and effectively engage and grow donors including Leadership Giving, Loyal Contributor program, millennial donors and others. Assists with grant writing and monitoring of grant applications to support the work and mission of UWGK. Stays abreast of fundraising, marketing and communications best practices through United Way Worldwide and other fundraising professional groups and publications. Continues to grow in knowledge and current strategies. Completes special assignments and projects related to resource development duties as requested by the Executive Director, and/or key volunteers. Updates and maintains accurate Outlook contacts and distribution lists. Lead implementation of Salesforce Philanthropy Cloud within the established timelines as directed by Executive Director. Responsible for system updates, training and maintenance for all donor engagement technologies as well as recommending technology updates and/or platform changes to remain relevant in the market. These platforms include Donation Tracker, MobileCause, Constant Contacts, the United Way Web Portal, currently managed by OneEach. 5+ years of marketing and communications experience. Business, Marketing or Communications degree or equivalent professional qualifications. Preferred experience in fundraising and the use of a customer database or equivalent. Proficient in use of Microsoft Office Products including Outlook, Word, Excel and PowerPoint and Social Media platforms with knowledge in graphic design skills, video content creation and HTML familiarity a plus. The following reflect the core competencies required for all UWGK positions. Champions Improvements. Looks for ways to continuously improve our United Way organization. Supports innovation and the organizational changes needed to improve the organizations effectiveness. Sets challenging goals and focuses one’s work on meeting or exceeding them. Communicates Effectively. Ensures that information is passed on to others who should be kept informed. Expresses oneself clearly in conversations and interactions with others orally and in writing. Uses e-mail appropriately for communicating with others. Listens well. Delivers clear instructions, explanations and expectations to others as needed. Uses communication tools in a way that uses others times efficiently. Ensures that meeting minutes are kept and promptly distributed. Fosters Teamwork. Promotes a team spirit of caring and collaboration within the UWGK office as well as with volunteers and community partners. Shows a willingness to cheerfully help others. Is a dependable member of any team in following through with actions requested by others in meetings or by e-mail. Promotes Volunteer Participation. Knows how to recruit, select, and cultivate volunteers who are opinion leaders, representing all constituencies on the community. Is skilled at mobilizing them in participation structures which allow them to effectively contribute of their talents and strengths. Can skillfully handle the apparent paradox of both leading and being led by volunteers. Ensures that volunteers receive appropriate and timely communication and are shown appreciation. Continuously seeks to build and strengthen relationships with all stakeholders. Is Attentive to Details. Ensures that one’s own and other’s work and information are complete and accurate. Ensures e-mails are promptly looked at and that all action items requested are completed in a timely manner. Ensures that meeting notices are on the company calendar and the United Way Contacts listings are maintained accurately and other listings of people, agencies or companies are accurate and up-to-date. Thinks Strategically. Understands the changing social, competitive, economic and giving environment faced by the agency. Ensures that function area plans of work and allocation or resources are aligned with strategic direction. Continuously analyzes agencies competitive position by considering market and industry trends, as well as strengths and weaknesses as compared to others. Acts as a catalyst and advocate for needed change. Demonstrates Commitment to United Way Mission, Vision, Strategic Plan, Core Values, Code of Ethics and Employee Handbook. Possesses a passion for serving people. Committed to working with volunteers to carry out the UWGK’s mission and vision in a way that also sets an example for others applying our core values of caring, collaboration, excellence, integrity and service. Supports the UWGK’s mission above individual interests. Adheres to the UWGK Code of Ethics as well as Employee Handbook, annually reviewing and signing the documents. Fosters Learning Environment. Continuously seeks to upgrade knowledge of United Way, computer programs, financial expertise, agency and community partner knowledge. Seeks out training opportunities. Stays abreast of current issues via local newspaper, news and talking with others. Minimum of a bachelor’s degree. 5+ years in communications, marketing, or other comparable field preferred. Demonstrated leadership ability in working with staff and volunteers preferred. Preferred experience in resource development or fundraising and the use of a customer database or equivalent. Proficient in use of Microsoft Office products including Outlook, Word, Excel and PowerPoint. This job is performed in a generally clean and healthy environment. The usual and customary methods of performing the job’s functions require the following physical demands: occasional lifting, carrying, pushing and/or pulling up to 25 pounds; some climbing and balancing; some stooping, kneeling, crouching, and/or crawling and significant fine finger and motor dexterity. Employee must have the ability to transport necessary equipment and supplies and set-up for meetings, etc. The employee must have a current driver’s license and have the ability to travel to various sites, appointments and seminars.